Your work shoes get you through a lot, and on the way they collect germs, dirt and the potential to disturb an otherwise sterile environment. 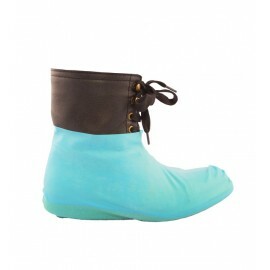 Shield them and your surroundings with heavy duty protective shoe covers and disposable booties. Slide on a pair of these work shoe protectors and transform your weathered work boots into safe, no-slip footwear. 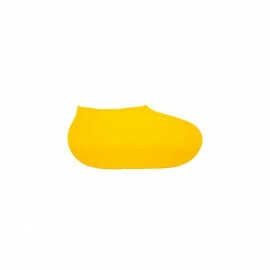 These disposable shoe covers are made from heavy, breathable fabric, covering the entire foot in protection that works to keep out dust, grease and other mild contaminants. Typically manufactured in white and blue fabrics, these lightweight layers are a workplace must-have. 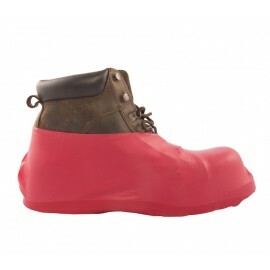 Cover up your work shoes the quick and easy way with disposable protective booties from Enviro Safety Products. 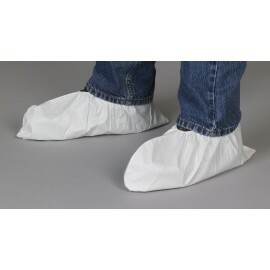 Disposable shoe covers give you options for protecting the surface you are working on and are used to protect footwear. Our disposable shoe covers come in many materials. Our blue disposable shoe covers are a great option for light duty or short term work, Tyvek shoe covers offer great durability and are often used multiple times, and our Tychem shoe covers off the greatest level of protection among all of our disposable shoe covers. There are a variety of disposable shoe covers available to you. You can pick between size, color, and style. There are so many ways to customize you shoe cover, you will wonder why you haven't chosen to utilize the benefits to wearing a protective shoe cover in the first place. Basic disposable shoe covers are available in blue and white and will protect your existing footwear, while reaping the benefits of no static and no dirt transferring with you from the sterile environment to or from the outside. These style shoe covers are usually around 2 millimeters thick. Also, disposable shoe covers are one size fits all and come with an elastic top to stay secure around your shoe. 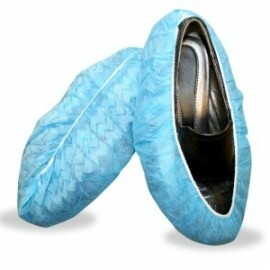 The basic protective shoe covers will protect against spills, splashed, dust and grease. 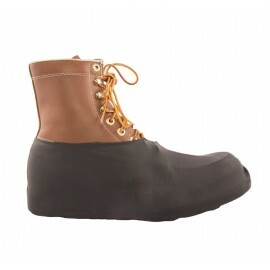 The more heavy duty style of protective shoe covers is polypropylene shoe covers. They are usually 4 millimeters in thickness, which add double the protection as basic protective shoe covers, and are good to wear with boots as well as regular footwear. These shoe covers also extend up the calf for total security. PE material is breathable so your feet won't sweat. 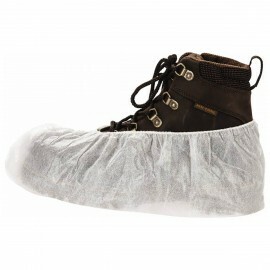 The heavy duty disposable shoe covers will protect from dust, spills, splashes, grease and some light chemicals. Browse our selection of protective shoes covers today and keep your footwear and yourself protected.